It's the Most Wonderful Time of the Year! 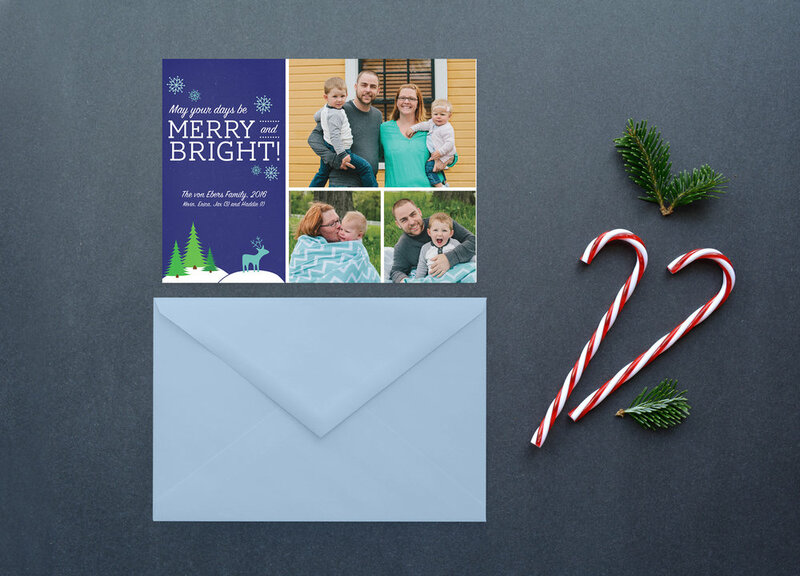 - Custom Designed Holiday Cards! It's November, and even though it's almost 70 degrees outside (I'm not complaining), it is officially time to start thinking about the holidays! I for one cannot wait for Christmas this year, since I imagine it will be 1,000 times more magical for us because of the munchkin. I am so looking forward to singing Christmas songs with her and decorating the tree and having our now-annual homemade cinnamon rolls for breakfast Christmas morning. And don't even get me started on babies in Christmas pajamas. ALL the heart eyes for that, my friends. Something else I always look forward to is designing our Christmas card, which is bound to be extra easy this year because I have the most adorable baby on the planet to feature on the card. And since I love designing them so much, I thought this year would be perfect to offer up my design services to others if they're interested! Thanks to getting family photos taken by my lovely cousin Sam earlier this year, I had lots of adorable pictures of my niece and nephew and other family members to use for mockups. I also work with a fantastic printer who has super reasonable pricing so I've included design and printing together in the pricing below for added convenience! Drop me a note at cakesandlouie@gmail.com if you're interested - I'd love to help spread the holiday cheer for you and your family!